Wonderful as a harbinger of spring, cool and shady in summer, sparkling colour in autumn sun. But some are no less spectacular in winter. Because the detail is easier to see and appreciate. After yesterday’s marathon post – which is likely to get seriously pruned as it does go on a bit – I thought today I’d keep it short and simple. Trees and bark. 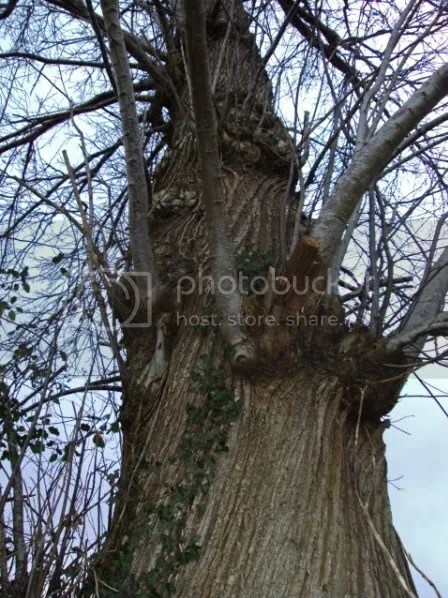 Searching tinterweb for something else entirely, I chanced on this gallery of tree barks from around the world. I looked at the first photograph and thought it was a t-shirt design (with a slightly sunburned chest underneath) before reading that it is actually the bark of a “A palm tree in St Aygulf, France”. If you have a passing interest in trees and want to be surprised, it’s worth clicking through the photographs. I’ve long thought that fashion designers should take more of their inspiration from nature – look closely at the throat of a foxglove for example – or the intricacy of a chicken feathers. I’d love to wear fabrics based on those designs. Maybe they do exist… but are way out of my budget! 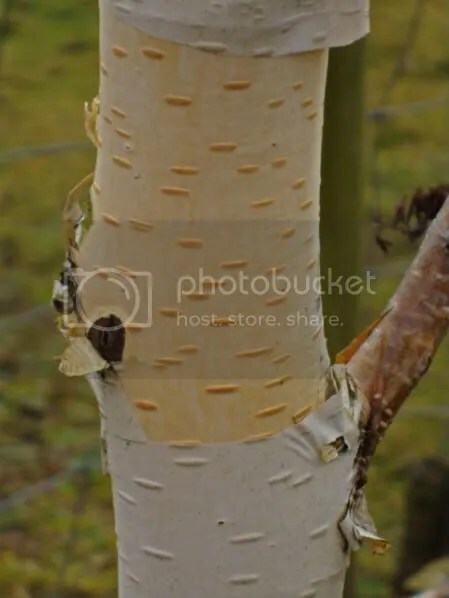 And I’ve long been fascinated by various tree barks – especially those that peel like the silver birch variety Betula jacquemontii, Prunus serrula and the snake bark maples. Or even London Plane, a commonly planted tree with wonderful flaking bark. They add something special to even the greyest winter day. During the summer, the twisted fissures in the bark that give the tree so much of the species’ individual character in winter. Michelle Obama’s stunning Alexander McQueen red dress looks to me to have been inspired by the silky, luminous beauty of the poppy.